With Adonis & Steward: "I Am Not Interested." Just a few hours after the press conference in Montreal that not only announced that Adonis Stevenson would be taking on Jesus Gonzalez, but also introduced Emanuel Steward as Stevenson's new trainer, Pound4Pound spoke with Stevenson's former trainer Howard Grant and needless to say, he was not pleased. When informed that the media in attendance was told Howard would be asked to be in Adonis’s corner with Steward on February 18th, Grant replied, "Really? Tell him I am not interested!" It's hard to blame Grant for feeling the way he does, especially since this is not first time Stevenson has pulled this act with him. Grant was guiding the early portion of “Superman's” career and Adonis had not a blemish on his record when the Haitian suddenly decided to leave Grant for "greener pastures" south of the Canadian border. 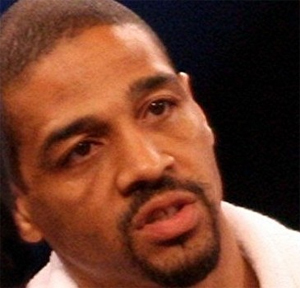 That ill-advised defection put Stevenson on a Lou DiBella card against journeyman Darnell Boone who sported an unimpressive record of 16-15-2 with only a few KO victories to speak of. Boone KO'd Adonis in 2 rounds. The record speaks for itself. A year later, tail tucked between his legs, Adonis was back at Grant's gym and it wasn't long before he was back on the winning track and inching closer to a title. Under Grant's guidance Adonis became "Superman" again and put together 3 big KO wins in a row. Talk of Stevenson targeting Lucian Bute and his IBF crown could be heard loud and clear in Montreal. But less than a month after defeating Aaron Pryor Jr. by KO, (something no other fighter had been able to do), Stevenson quietly packed his bags and under the darkness of night took off for Detroit, the Kronk Gymnasium and the waiting arms of Emanuel Steward. Again Stevenson was looking for greener pastures. In regards to Stevenson telling the media that Grant would be invited to work in his corner alongside Emanuel Steward on February 18, Grant scoffed. “What does that tell you? It says I am an outsider now. That’s what this has come down to. He is going to invite me? He is kidding me, right? "Just who does this guy think he is anyways? Does he want to be treated like Floyd Mayweather? Manny Pacquiao? Or how about like Juan Manuel Marquez who has been loyal to the same trainer since day one? This guy is not thinking straight if he thinks he belongs in that kind of company," Grant said. "A friend told me many years ago, ‘If you do not want a problem, stay away from the situation.’"
Clearly the situation here is Stevenson and the big change he is making in his corner at this stage of his career. I have no idea where Stevenson’s career will go from here but I can tell you that whether he loses and needs to regroup or he wins and has a Championship fight waiting around the bend, the last person you will see working in his corner is Howard Grant.